“If there's a perfect recipe for a novel that lets the reader escape stress and tension, it could well be a combination of a mind-blowing concept that results in tense dramatic action in a variety of extraordinary settings, that paradoxically conveys as a whole a dreamlike feeling of remotely beautiful tranquillity. That recipe, this science fantasy novel achieves perfectly. 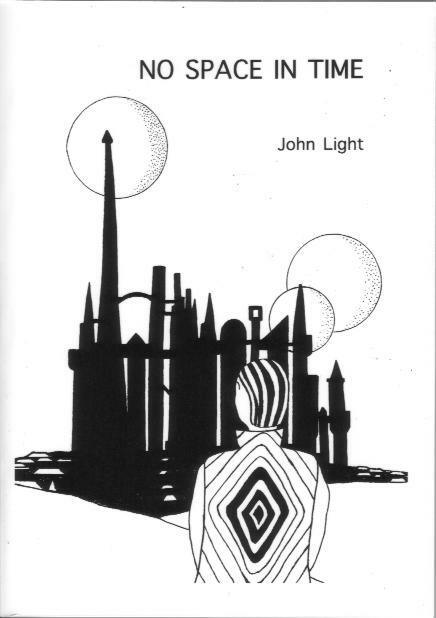 Light's fourth genre novel, it has already seen extracts published in several magazines, and now at last is available complete, letting the reader enter a series of wondrously different worlds. The story begins in a vast, ancient interplanetary empire that knows no night, six suns in turn changing its stained-glass-like colours. To the top of the highest palace go the childless emperor and empress, to receive a baby daughter from an enigmatic wizard, who remains to tutor the child. As the child grows to puberty, the mage moves from age to youth. They marry and bear a son, Melgor Erdin. His existence threatens the stability of time, the universe and everything, and he must adventure from strange world to strange world in search of existence his presence will not shatter, and a woman his enigmatic nature will not destroy. "This is an engrossing and free-wheeling science-fantasy. Light captures the sense of wonder aspect of science fiction ... full of star-glitter, exotic colour, strange names, dark menace and cosmic danger... "